Porsche have already revealed its supercar hybrid 918 Spyder, now the brand's CEO, Matthias Müller, revealed to several reporters at the Paris Motor Show that they are currently testing an electric-only version of the popular Panamera sedan. Although Müller wouldn't give anything resembling details or specifications on the car, he did confirm that testing is underway, and pending results, the car could theoretically have production potential in its future. 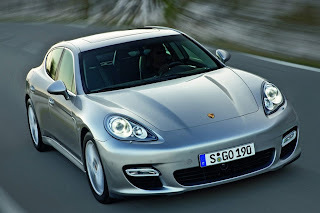 Should the battery-burner get the nod, it would become the sixth powertrain available for the Panamera, which currently ranges from a base model V6 and 300 horsepower to a range-topping 500 horsepower turbocharged 4.8-liter V8.